FIT MAMA! New Mom Gabrielle Union Spotted Hitting The Gym In L.A.
She may be a brand new mommy to a brand new baby girl as of last week, but Mrs. Union Wade is still making sure she hits that gym. The 46-year-old actress was spotted at the gym in L.A. just a few days after welcoming her first child thru a surrogate. The shot, snapped yesterday according to Splash News Picture Agency, shows Gab carrying her usual gallon water bottle (yep, one of her secrets to that perfect skin of hers) and some gym equipment. 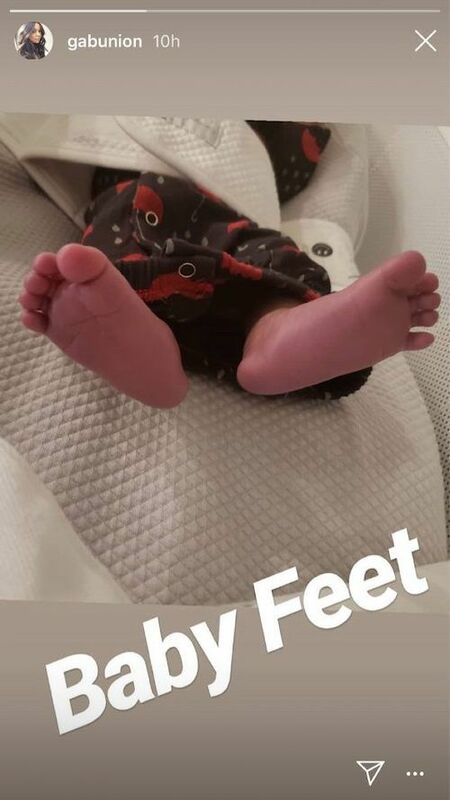 Her hubby Dwyane Wade's on paternity leave from the Miami Heat, so we're sure he was on daddy duty with his new baby girl and his sons. While Gab's been posting about her exhausting, yet rewarding journey with the newborn, it hasn't been all roses with the masses. Recently, she posted about not having time to get her wig together, shower or brush her teeth because, newborns. Any new parent of a six-day-old could totally relate. But the reaction by some - who say she's over exaggerating seeing that she has a husband, tons of resources, nannies and nurses, that MANY everyday moms don't have and still make do - has sparked mom-shaming think pieces and debates all around the internets. Plenty of our own commenters are sounding off about it too. Some are defending Gabrielle, saying she's simply overjoyed and happy after years of fertility struggles, and wants to share her journey with the world. Others say this type of "exaggeration," where a celeb mom often says directly or indirectly, "Look how I'm juggling it all", without mentioning their many resources to help, puts unrealistic pressure on everyday moms. Either way, we're here for mama Gab's new journey.